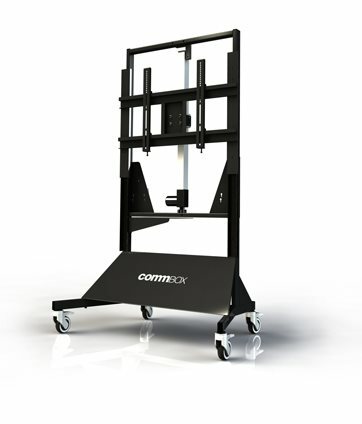 COMMBOX - MOTORISED STAND - REMOTE CONTROL ELECTRONIC HEIGHT ADJUSTMENT - SUITS 60, 75, 80, 85, 90"
* Complement your CommBox 55" to 90" Interactive or Display with our stylish motorised stand. * Featuring dual PDU and NUC mounting holes, builtin cable management and laptop shelf, it is sure to meet all of your needs. * This design can also be used as a wall mount motorised lift in areas where walls are not reinforced by removing the legs.